As I might not have time later this month, and because Anheuser-Busch (BUD) was bought by InBev for $70 a share, I decided to update the Buy and Hold Forever Dividend Portfolio. This and all future updates will be posted here. The spreadsheet tracking the portfolio is available on the original post and here. I didn't think BUD would be bought at all. And if it were bought, I didn't think it would happen so soon. I said in the original portfolio rules that if a holding was bought for cash, that would count as a dividend. That feels like cheating somehow now that it's actually happened. Should BUD be replaced by Molson Coors (TAP)? There is a poll addressing this question to the right of this post. If you're reading this by email or on some other site because the post has been reproduced there (without my permission, I might add, unless it's on Seeking Alpha), you'll find the poll here. It closes on December 1. In addition to updating the spreadsheet for the dividends received so far, I've added "Share Price Value" and "Share Price Return." This is just to keep track of the great Ponzi scheme known as the stock market. Since we're keeping the stocks forever, "Total Dividend Return" is the preferred measure. You'll notice that the "Share Price Return" is currently greater than the "Total Return," which incorporates dividends. You'll also notice that the dividend return is negative. That's because commission costs were counted as dividends when the portfolio was started (it started with a negative one percent return). Over time, "Total Return" will be greater (and hopefully positive!) than "Share Price Return." If you catch a mistake, please post a comment here or email me. I've received several requests from people who would like to use the spreadsheet for their own purposes. That is, they want something that has all the formulas, so all they have to do is put in their own tickers, share numbers, and purchase prices. I'm happy to oblige. Email me and I'll send you an Excel spreadsheet. Disclosure: At the time of writing, I owned WFC. Yahoo! Finance's front page has yet another article that has me infuriated. First it was the 29 year old housewife who is the paragon of a saver and early retiree. Now this. The article in question asks whether Warren Buffet has lost his touch. It recounts what it calls three of Buffett's mistakes. The first mistake, the article states, is Buffett's investment in Goldman Sachs (GS). Buffett invested $5 billion in the company in September, getting a 10% dividend. He also received the right to buy $5 billion worth of Goldman stock at $115 per share within the next five years. As Goldman was trading at $64 a share, the article concludes that Buffett lost over $2 billion. What about the sum he invested in Goldman (and GE) preferred stock? Buffett is getting $500 million in dividends every year from GS. Excluding taxes, if GS survives and keeps paying, Buffett will get all his money back in ten years. If Goldman calls the shares (it has the option to buy the preferred shares back at a 10% premium), Buffett will make $500 million in addition to the interest payments he receives up to that point. Buffett's second mistake, the article says, is that he thought that Congress' passing of the bailout bill would make his investment succeed. The S&P 500 is down 25% since Buffett lent money to GS, and 21% since the bailout was passed. Berkshire Hathaway's (BRK-A) stock is down 30% off its 52 week high, the article also notes. I'm not quite sure what Berkshire's stock has to do with the bailout or the Goldman investment (it's down for a number of reasons, including owning businesses that are exposed to the depressed housing sector), but the article's point is that Buffett made a mistake because the market is down since the bailout passed. It's been only two months since the bailout has passed. While Paulson seems to change his mind every day about how to proceed, that doesn't mean the bailout and Buffett's investment are failures. Two months is not enough time to make a judgment one way or the other. Buffett's third mistake, the article argues, is his NY Times op-ed. "'Buy stocks, cash is trash,'" the article paraphrases. Buffett's cash is trash philosophy did not fare very well, says the article. You see, over the last 10 years T-Bills have returned 30%. Thus, "If your money would have been sitting in cash for the past year, you'd be able to buy most everything on massive discounts." I am shocked. Had the person who wrote the article actually read the op-ed, he would see that Buffett has been all in cash in his personal account for a long time. Now that stocks are trading much lower, and the government printing presses are running at full steam, Buffett thinks stocks will outperform cash over the next 10 years. He doesn't know if stocks will go up tomorrow, or a year from now. But he's going from all cash to all stocks if stocks stay at their current levels. He's doing pretty much what the article implies is the right thing. But that's his third mistake. Why? And anyway, (at least the article acknowledges that) it's been a month since the op-ed. We'll know in 10 years whether Buffett is right about stocks being better than cash. The third mistake claim is just ridiculous. The first two claims are very common in the investing press. When someone's portfolio is down (no matter over how short a period), they're a fool. If they're up, they're a genius. You can't call Buffett a fool. So the next best thing is to ask whether he has lost his touch. Has he lost his touch? Maybe. I don't know, and neither do you. It's only been two months! His investing horizon is years, decades. We can say he lost his touch if GS goes out of business or stops paying him dividends. That hasn't happened yet. If Yahoo! keeps publishing such garbage, they might as well invite me to write for them. I suggested in some previous posts (like here) that share buybacks are a good idea. Some further thought on the subject has made me reconsider. When we buy stock on the open market (i.e., from all sellers that are not the company), the company whose stock we buy benefits only indirectly, if at all. A company's share price (market cap, actually, because it makes no difference if for example a $100 billion company's stock is priced at $50 or $100) matters only when it sells its shares and when another entity tries to buy the company. In theory, share buybacks should increase the value of the shares that remain outstanding (or in the float if the company doesn't cancel the shares it buys back). There are a couple of general reasons for this view. (1) Given the same investor demand for the shares as existed before the buyback and a lower supply of shares because some have been bought back, the shares should rise in value. (2) A company buying back shares increases some per share figures (like sales and earnings), decreases others (P/E, Price/Sales, etc), and signals to investors a number of things (e.g., management is optimistic about the future, thinks the shares are undervalued, the company is in a good enough financial position to use cash in such a way, etc). It may lead investors to want to buy the shares, thereby increasing the shares' value. That is, a buyback not only decreases supply, it may boost demand. In practice, it is hard to tell what effect a share buyback actually has. When a company buys back its shares and they rise, we cannot really say that this is the result of the buyback. If the company is doing well, its shares might rise just for that reason, regardless of any buyback. On the other hand, there are plenty of examples of companies buying millions or billions of dollars worth of their shares every year while their stock price drifts ever lower. Maybe the share price would decline faster without the buyback, but there's no good way to tell. Why do companies buy back their shares? Unless the company decides to go private, it has to be for the shareholders, based on the theoretical reasons mentioned above. This is because from the company's standpoint, the share price does not matter unless the company sells shares. There is no benefit to the company if its shares go higher and no real detriment if its shares go lower, unless it sells shares. When making a secondary share offering (and perhaps selling stock to investors directly--although this doesn't affect anything unless a lot of stock is sold in such a way), the higher the company's market cap, the better for it. That's because it can raise more money. The lower the market cap, the less money the company can raise. This is not to say that share price does not matter in other circumstances. It does, for it can affect things like, for example, how current and potential customers see the company. A rising share price may keep old customers and help get new ones. A falling share price may do the opposite. But in terms of a share buyback, I don't think share price matters. If the company is doing well and investors think it will continue to do well, the shares will probably rise for the same reason as the company gets new clients. If business is going poorly, the shares will fall for the same reason the company will lose customers. Share buybacks will not help either situation, and, regarding the latter, the money could be better spent more directly, say on advertisements. I find it a little funny when a company says it's buying back its shares because they are undervalued. That they are undervalued suggests that they will be fairly valued in the future. Why would you want to buy undervalued shares? Silly question, right? Because you want to sell them later for a higher price. That's pretty obvious. If you want to keep the shares (of a non-dividend paying stock) forever, it doesn't really matter if they're undervalued or overvalued because you'll never sell them and won't suffer a capital gain or loss. It will only matter what your expenditure is. But if you plan to spend $x in total and the only variable is the number of shares you end up buying, it doesn't matter how the shares are valued when you buy them, unless you plan to sell them later. (What's the point of buying and holding a non-dividend paying stock forever? I don't know, and have been wondering about this.) It is different with a dividend paying stock, of course, as the more undervalued it is, the better the yield you can get. So buying undervalued stock makes sense, from the investor's point of view--you either want to sell the stock in the future to someone else for a higher price, or you want a good dividend yield if you decide to keep the stock forever. But does this make sense from the company's point of view? It's buying back shares because it thinks they're undervalued. So it wants to sell them later for a higher price? (Some companies buy back their stock with borrowed money. Can this ever be smart if they don't plan to sell the shares later?) Do you want to invest in such a company? Investors hate having their stake diluted, unless it's for a good reason. 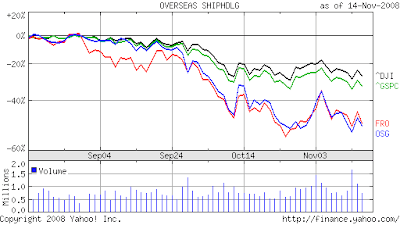 A company in situation (1), unless management is stupid, would never have made share buybacks. If management is stupid, the new share offering won't be successful because of the previous buybacks. 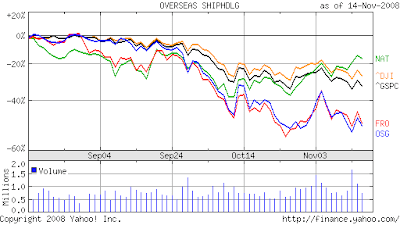 A company in situation (3) likely has already seen its share price plunge. Share buybacks in the past, likely for a higher price than the company now offers, do not help. All the banks that had share repurchase programs come to mind here. Situation (2) is probably the only time when a company can issue new shares and sell them for more than it paid in an earlier buyback. But had it not done the buyback previously, would it really make much of a difference in terms of the company being able to issue more shares now so that it can expand? If investors think the expansion is a good idea, the company's secondary offering will be successful even if it never bought shares back in the past. If investors think it's a lousy idea, past share buybacks will probably not make the new share offering's reception any better. So even here share buybacks may not make sense. When seeking to buy undervalued shares, it seems, a company is better off going after another entity's shares rather than its own. Instead of spending its money to lower the number of its shares being traded, the company has better options. If providing value for investors is the impetus, maybe giving them the cash instead is better. A share buyback may do nothing for the stock's price. And even if it does, the shareholder has to sell in order to benefit. A dividend, on the other hand, rewards the shareholder and allows him or her to stay invested in the company. The company can also use the cash to service its debt (if it has any), try to hedge its costs (e.g., a beer producer might buy wheat futures), invest in the undervalued shares of another company, or keep it in a safe place for future opportunities or a rainy day. A company in situation (3) might not be in such a dire predicament if it kept the cash rather than buying its own shares. When you buy shares you either intend to sell them later for more than you paid, or keep them forever. They are of no use to you if you keep them forever unless they pay a dividend. A company cannot pay itself dividends, and the amount of money it saves by not having to pay dividends on canceled shares pales in comparison to how much it costs to cancel the shares. (For example, if the dividend yield on the shares is 5%, it will take 20 years before the company saves money on the transaction if the dividend payout stays the same.) So keeping the shares forever is no benefit to the company. To derive a benefit, it must sell the shares for higher than it paid for them. Investors like share buybacks because the share price might rise as a result and because their stake in the company increases. That the share price will rise because of a buyback is a questionable assumption. Apart from enjoying a potential rise in the share price (yes, earnings per share increases because there are less shares, but unless the share price goes up correspondingly, you should not care one bit), having a greater stake in a company means having greater voting power. But for most investors, going from having 0.00001% of the vote to 0.000011% does not matter. (One may argue that a smaller share count means more dividend money is available for each share. For example $5 million spread out over 20 million shares will give a bigger payment per share than if it's spread out over 20.5 million shares. I agree. But why couldn't the company have used the money it spent on those 500,000 shares to increase its total dividend amount instead? The end result would be the same--greater payout per share--but the investors who kept the shares would get the extra money rather than the ones who sold.) Having a slightly greater stake in the company, then, means squat for most investors. So, if the company keeps the shares forever, investors get pretty much nothing except greater ownership in a company with less cash (and/or more debt), and the company gets nothing. If the company decides to sell the shares later, on the other hand, the greater voting power derived from the previous buyback is erased. As investors hate dilution, the share price might suffer as well. In the end, a company might end up in a better position because of share buybacks, but not enough to make buybacks better than other options. What's interesting is that share repurchase programs usually run at full steam when things are good and the share price is rising, and are canceled when things get tough and the share price falls. But the best time to invest in a company, as we learn from the best value investors, is when its share price has tumbled. And this is precisely the time when the company is struggling and can't buy its shares. So much for buy low, sell high. Management, give me a dividend, pay your firm's debt, or keep a fund for the future if you don't know what to do with the extra cash. If the company's shares are undervalued, use your own money to buy them.